This year’s event will be held at the Benjamin’s park in Portsmouth. Day one (1) will feature the opening ceremony which will have addresses from the sports coordinator, Trevor Shillingford, the Mayor of the town of Portsmouth, His Worship Titus Francis, the Parliamentary Representative for Portsmouth, Honourable Ian Douglas, and Honorable Justina Charles, Minister for Youth Affairs, Sports and Constituency Empowerment. The activities begin at 9:30 a.m., on both days, with fourteen (14) schools expected to participate in this year’s championship. 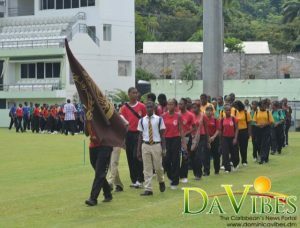 The Dominica Grammar School won both the boys and girls categories in 2016, but the 2017 championship was called off due to the passage of Hurricane Maria.